Nicola is a returning client who has commissioned oil paintings in the past and the photo below shows both Nicola and Nicholas collecting her paintings from the studio in August 2014. 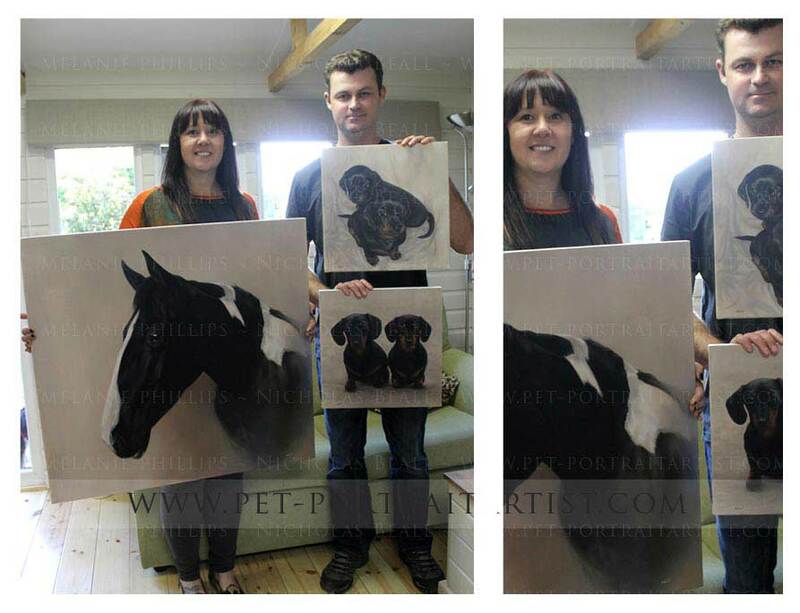 Nicola commissioned Nicholas to paint both her horse Jack and her two adorable Dachshund puppies Mia and Harry. I LOVE the picture of Jack Nick is truly amazing! Good morning Melanie, all good here, how are things with you? Oh my goodness!!! I LOVE IT!! I can't wait to collect them. I can't wait to see the other one and Jack of course. I move into my new house in August and I can't wait to hang them.